90% of vein problems have a strong genetic component and are passed from parent to child. Because of this, there is little you can do to avoid a vein problem from developing if it runs in your family. Less than 10% of the time, the vein problem is not due to genetics and is due to a prior injury or trauma. 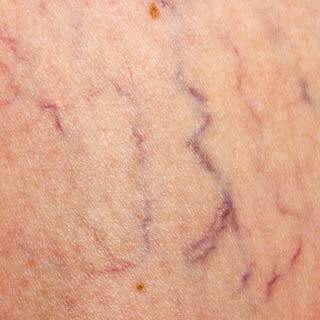 Vein problems, once started, do not go away and each year become more visible with more symptoms. What does vein circulation do? The circulation in the body is a constant cycle. The heart pumps the blood, the arteries carry the blood from the heart to the tissues, and the veins bring the blood from the tissues back to the heart . If any one of these steps is not working, then the circulation will slow down. When the vein circulation is not working properly, the entire body is affected because of the slowing of circulation and a number of symptoms develop. This is why a vein circulation problem also affects the overall health of an individual. What is a vein condition? A vein condition is due to abnormal function of the valves and build up of stagnant blood under pressure in the legs. There are valves inside the veins which help the blood return to the heart. Vein problems develop when the vein begins to stretch out and dilate and prevent these valves from working. The result is that the blood no longer flows as well back to the heart and the circulation is stagnant. With stagnant blood under pressure in the legs, the body reacts by creating an inflammation reaction. This causes many of the symptoms including feeling run down and tired. How do vein treatments help? Vein treatments work by closing down the abnormal veins where the stagnant blood under high pressure accumulates. After treatment, The blood flows to normal and healthy veins and no longer is stagnant. The circulation returns to normal and the inflammation in the body goes away resulting in dramatic improvement in symptoms. You must have a vein ultrasound to know you have a vein problem – normal looking legs are often deceiving. People with a vein condition usually have leg or foot symptoms, feel run down and tired and have poor sleep but only 20% have visible veins. Because of this, a vein ultrasound is the only way to determine if a vein condition is present and is required by insurance to approve treatments. Submit an Online Request for Your Free Vein Screening – A Missouri Vein Care representative will contact you after receipt to schedule your screening. Complete the Free Vein Screening at your nearest Missouri Vein Care Center. The screening will include an ultrasound and assessment of your vein condition by one of our highly-trained staff. During your assessment, our staff member will recommend a follow up appointment that works with your schedule if it is deemed necessary. Because it is a circulation condition, most vein treatments are covered by insurance. Insurance determinations are completed after a full consultation with the physician. What Kind of Vein Treatments are Available? This is a patient friendly vein treatment with no down time. It is not vein stripping! It treats the veins under the skin causing the problem. After numbing solution is placed in the leg, a thin laser fiber seals the vein closed. The circulation improves and reroutes to healthy veins present in the leg. After treatment, patients walk out the door and resume all activities. Over the counter pain medications are all that are needed after treatment. Bulging, unsightly and painful veins are removed with rapid and outstanding results. Vein removal (phlebectomy) allows rapid recovery and visual improvement. After numbing the leg, tiny incisions are made and veins removed. Resume activities without restriction in 24 hours. At 4 weeks: the tiny incisions and the unsightly veins are gone. Patients are ecstatic with results. Unsightly and uncomfortable spider or bulging veins are easily treated with injections. We ultrasound to see if an underlying vein condition is present. The skin is numbed and veins are injected with solution. The solution closes down the veins. The unsightly veins can take up to several months to fade. There are several alternatives to an office based procedure. These generally can improve the symptoms but do not eliminate the vein condition. 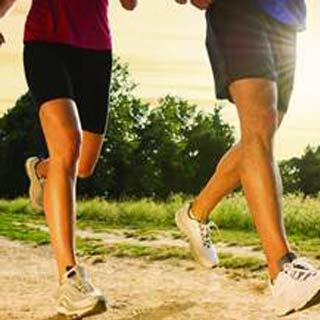 Patients see an increase in energy, stamina and dramatic improvement in their leg or foot symptoms after treatment. without having to sit down and rest my legs first"
"I feel like I have more energy! I am sleeping better at night, and I am not as short of breath"
"I can walk with my wife in the evenings for the first time in a long time!" "I could tell a huge difference in my legs right away! I am able to enjoy traveling and hiking again"
"I can walk a lot better now. I was even able to walk down to the pond to do some fishing this week! I haven’t been able to do that in years!" "Treatments have changed everything for me. I have my life back!" "I can finally sleep at night without waking up to leg cramps"
"I can participate in line dancing classes now"
"I can wear a lot of pants now that I couldn’t before because my calves were so swollen"
"My life is so much better now. My husband has even noticed an improvement"
"There’s no pain. I wake up in the morning and there’s no pain!" "I would hate to think what my legs would be like today if I hadn’t come (to Missouri Vein Care)"
View some of the common questions we receive regarding vein conditions and treatment options.